In November 2018, Ministries Esperanza Viva purchased a 2.42-acre parcel with plans to build its ninth campus location and was represented by MacRo Commercial Real Estate. Iglesia Evangelica Palabra Viva, a branch of Ministries Esperanza Viva, is a multi-campus church that plans to design and construct an approximately 13,000 SF two-story house of worship in the Hillcrest area of the City of Frederick to serve its growing Hispanic community. 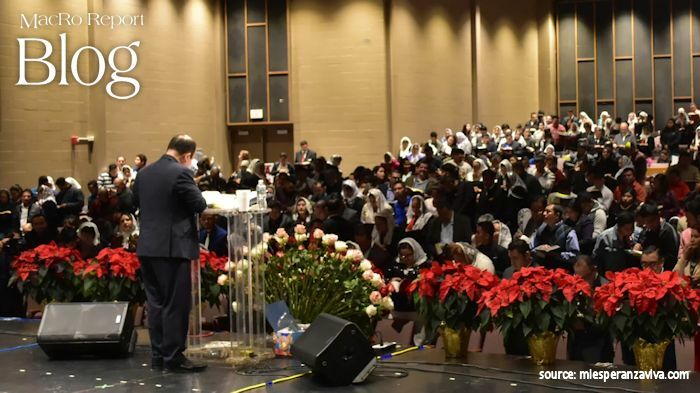 In 1999, Ministries Esperanza Viva, a Hispanic church, started its central and first location, with very few members, in a home in McLean Virginia, which has since been led by head pastor Ernesto Alvarenga. Currently, the church has 8 campus locations throughout the United States and Canada, and together these locations have over two thousand members and over 200 home family groups. Additionally, not being able to solely handle all the campus locations, Pastor Alvarenga delegated responsibilities to three main affiliated pastors, who oversee many projects, and a couple of church elders who oversee specific locations and family groups. The church’s campus locations include its central church in McLean, VA, and others in Waco, TX, Walkersville, MD, Richmond, VA, Fredericksburg, VA, Durham, NC, Lewes, DE and Toronto, Canada. Not only has the population in Frederick County grown over the years, but the Hispanic population has grown immensely. The Hispanic community is the second largest minority growth in Frederick, which is why Iglesia Palabra Viva chose Frederick for one of its campus locations in 2008, after seeing that there was a need for a Hispanic church in Frederick. The Frederick campus location was put in the trusting hands of Pastor Freddy Garay, who watched the church membership grow more than expected, thus reaching capacity at its currently leased Walkersville location. And with the Hispanic population growth continuing, Pastor Garay saw the need for a permanent campus location in Frederick, MD. He was given responsibility to oversee the construction process with the collaboration of the church’s Pro-Templó committee. The site plan is in the final stages of the approval process with the City of Frederick. And, pending approval, Pastor Garay expects construction to begin mid-2020, with the hopes of completing the project within 18 months thereafter. The Hillcrest campus location is set for a capacity of 250 members, and the church will also include classrooms for Sunday school. MacRo, Ltd will follow this project closely and lend a hand when needed. Harris, Smariga & Associates has been engaged as the engineering firm for the project, and Conewago Enterprises of Hanover, PA will be the general contractor. Pastor Garay welcomes visitors and new members to regular Sunday church services at its current location at 8798 Adventure Ave in Walkersville from 10:30 a.m. to 12:30 p.m. The team at MacRo, Ltd. has served the needs of many non-profit organizations and religious groups in the greater Frederick community; so please let us know if we can assist your group. Contact us today. Daniela Rosero, Marketing Coordinator, joined MacRo. LTD. in 2018. Daniela holds a B.S. in Digital Design from Towson University and is pursuing her M.B.A. with a marketing focus from U.M.U.C. Her role at the firm is to establish and implement marketing strategies, develop marketing material, manage the company’s website, newsletters and its social media.